Going to the dentist shouldn’t be a negative experience, and you shouldn’t have to cope with fear about your dental visits. Whether you’re there for restorative care, or you’ve gone for a biannual cleaning—a dental office should feel safe, and the personnel should be caring and professional. 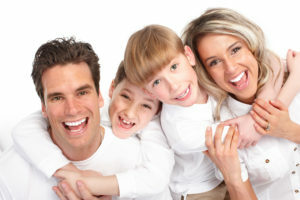 You’ll be glad to know, at Lifetime Family Dental we’ve got a reputation for being the friendly dentist in Gilbert, AZ. Read on to discover personal testimonials from some of our patients. When hiring his staff, Dr. Norton, Lifetime’s dentist, made three qualities a priority: they had to be skillful, friendly, and kind. Judging by the comments our patients have made over the years, he succeeded in his quest for top-notch staff members. Together, he and his staff help to substantiate the claim that Lifetime Family Dental is the friendly dentist in Gilbert, AZ! But don’t take our word for it. To back our claims, we’d like to showcase a few of our patients’ comments about their experiences at our office. What Our Patients Have Said . . .
Here’s one final testimonial. It’s unabridged because we wanted to give you a sense of our office atmosphere. We thought we’d let our patients speak for us in this blog post. If you have any questions, or if you need restorative dental care, why wait? Whatever your need, there is a friendly dentist in Gilbert, AZ waiting for your call.